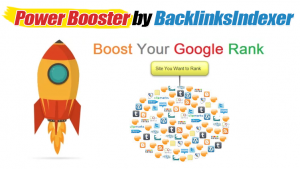 How can I get my backlinks indexed fast? What about the Regular (Original) Method? Our original submission system is still the Most Powerful because it builds high quality backlinks to your URLs, but it is a Drip Fed process and takes quite a bit more time. This process is proven to not only get great indexing, but also increase your overall rankings. Refer to Indexing Case Study Here. This New Power Booster is designed for those stubborn links you need indexed as quickly as possible. How Do I Get Credits for The Power Booster? #1 - You receive them for Free as a bonus for your loyalty from month to month as an active subscriber. Below is a breakdown of how many FREE Power Booster Credits You Receive from Month to Month depending on your Plan Type. After month 12 you will continue to receive that amount of Boosted Credits each and every month so long as you remain an active member.